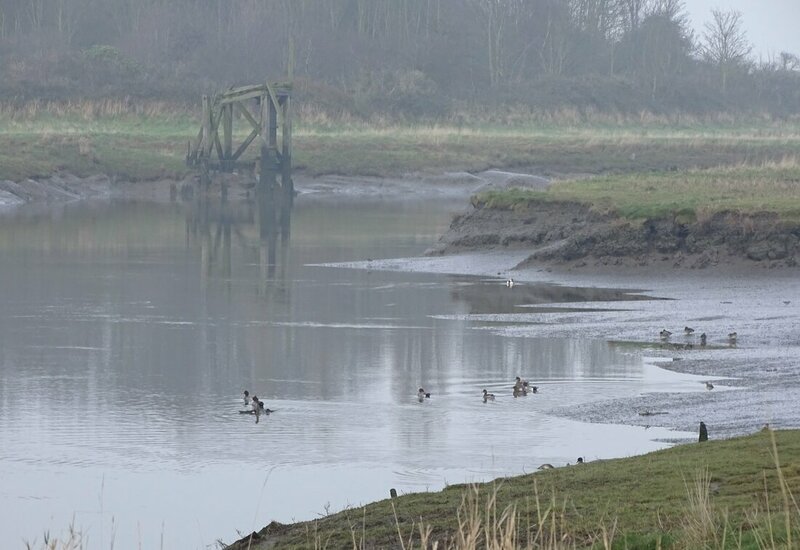 We were not there at dawn this month so we didn’t see the pink-footed geese leaving the estuary like we did last month when we counted 3,500. 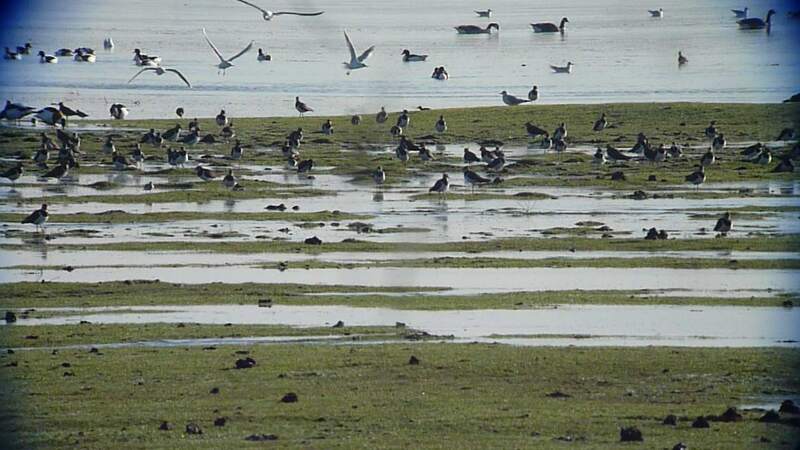 However, over 500 grazing on Ince Marshes was a great sight, hopefully one we can get used to. The flock of 26 whooper swans seem to like the fields next to the M56. 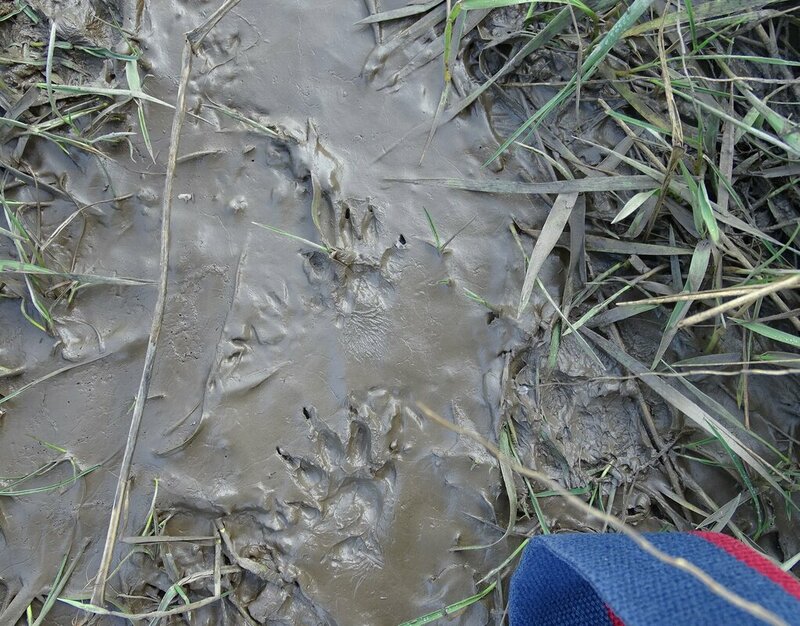 We have now included these fields as a new WeBS sector. Canada geese had increased from 2,700 to over 4,000 but will soon be departing to find places to breed inland. 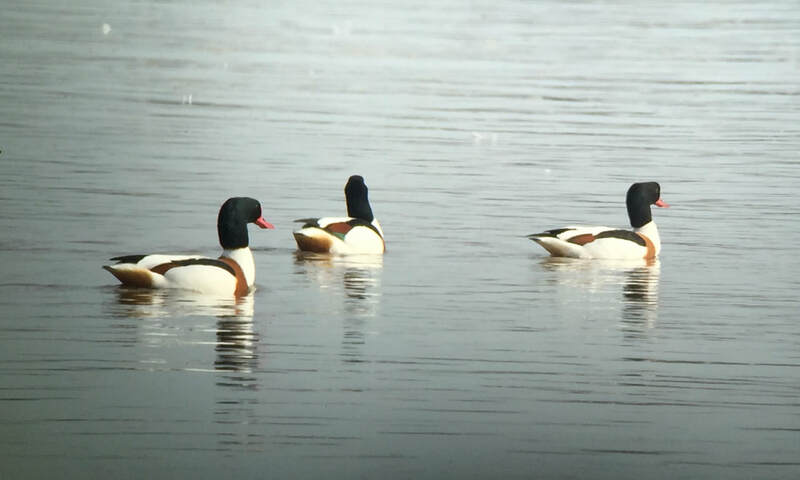 Shelduck also increased from 700 to over 1,700. 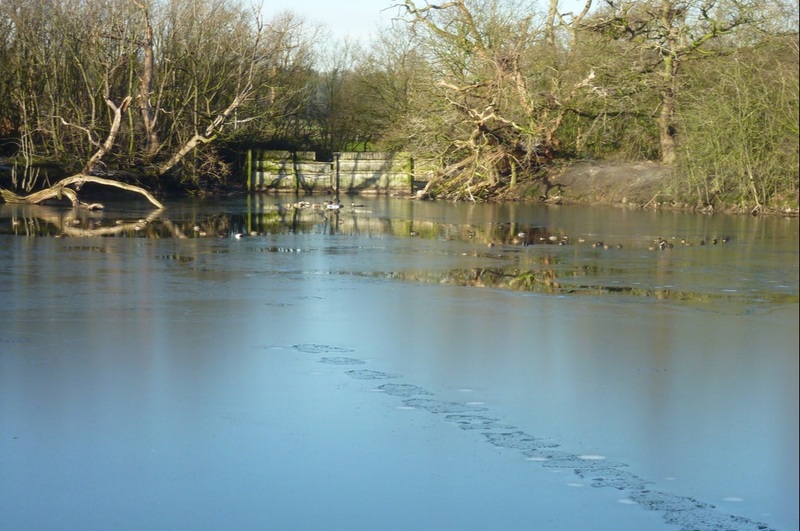 Most wildfowl were slightly down except tufted duck which had a high for the WeBS year of 351 and goldeneye which reached 21 birds. 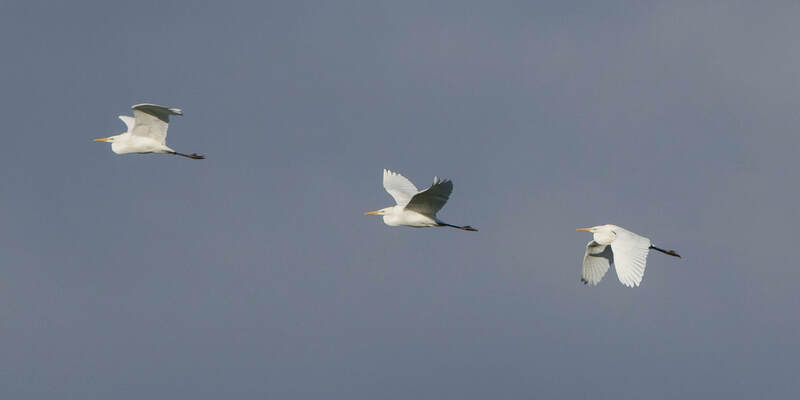 Six Great Egrets equals the counts in October and November. 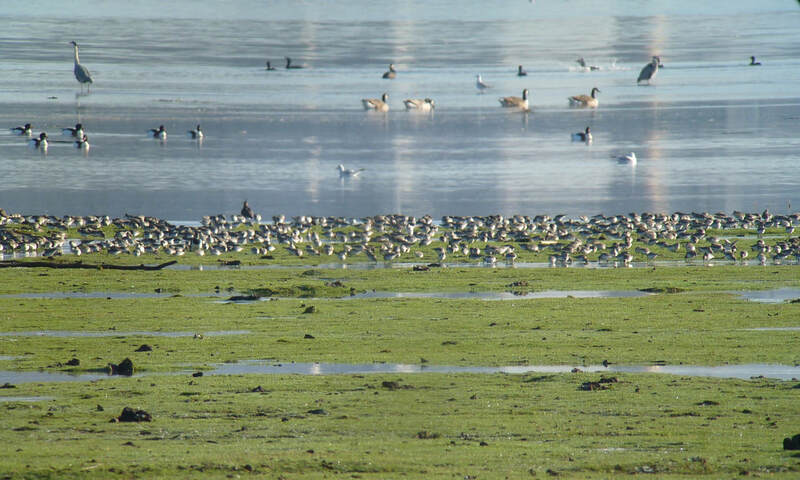 From the waders, the 3,000 golden plovers had dropped to 1,400 and lapwings had also dropped from 12,500 to 4,000. 87 grey plovers mark a very disappointing winter with our highest count of just 137 being a long way short of our 428 five-year average maximum. Eight purple sandpipers at New Brighton was a winter high. There was drop in dunlin numbers, but an increase in black-tailed godwits and curlews were up from 500 to 1,100. Redshank were also down from 1,800 to 901. 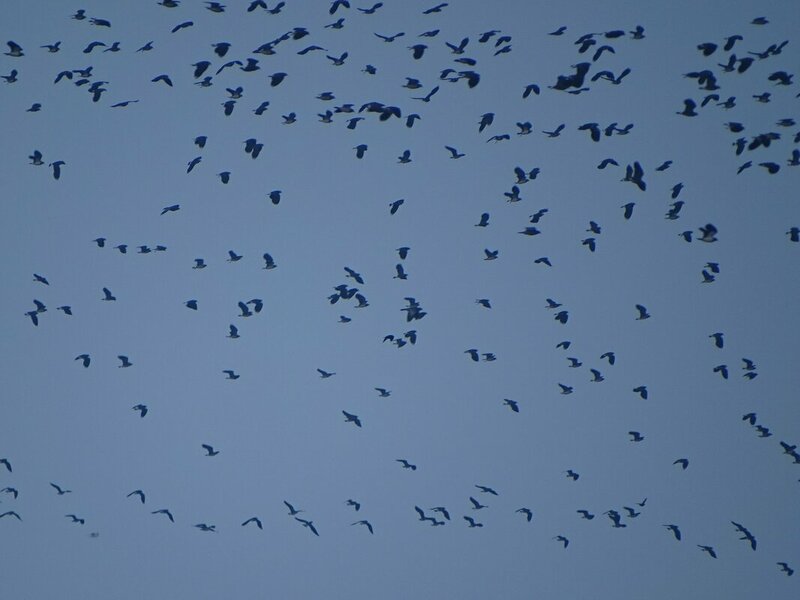 However, for the last two months we have not been able to count at Eastham where we know there can be a couple of thousand roosting. Turnstones continued at around 200 as they have been for most of the winter. Amongst the gulls over 1,100 lesser black-backed gulls was well up on last month’s 100, while herring gull numbers fell from 2,000 to 900. 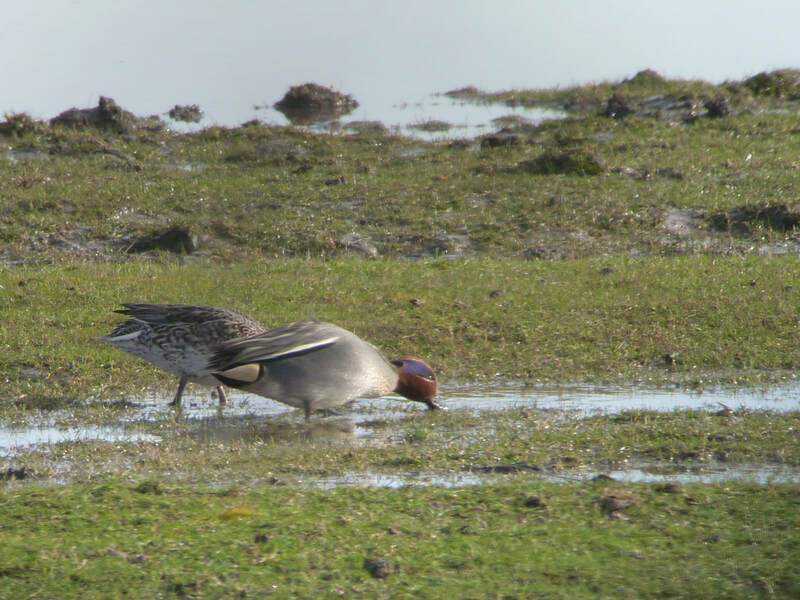 The March count is on the 24th and is a high tide of 9.8M which should flood most of the saltmarshes and make counting teal and Manisty easier if they have not all gone by then. I am also preparing for an indoor meeting on the 4th April at Pickering’s Pasture to sum up the 18-19 WeBS year. We will begin at 7pm. All are welcome, but let me know if you are coming so I can ensure we have enough cake! 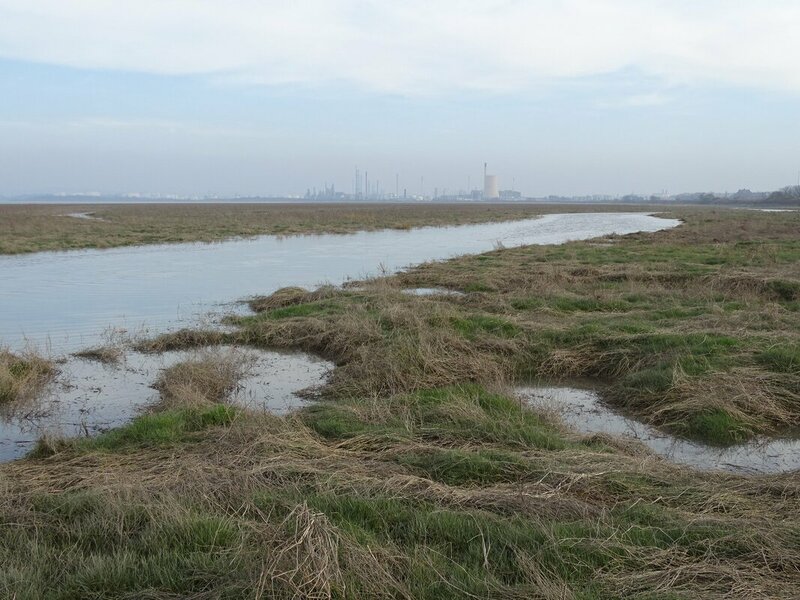 We met at Stanlow Oil Refinery at 6.30am and were out on the marshes in total darkness. 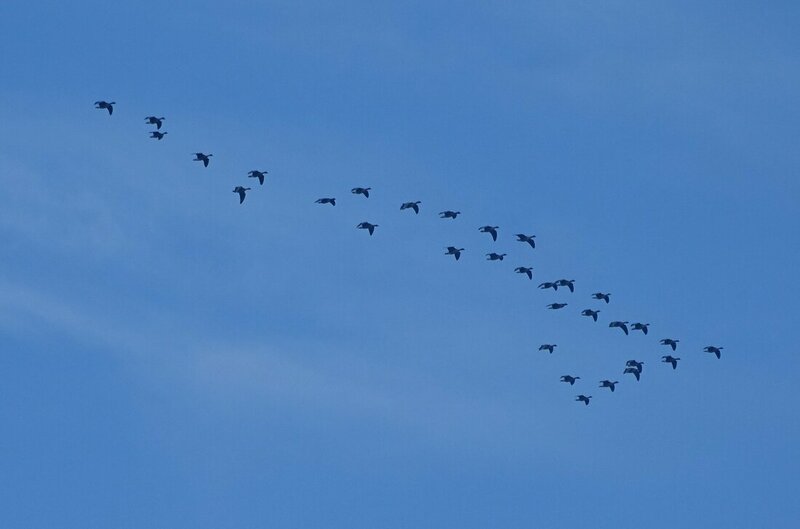 This is just what I wanted as Andy had reported seeing up to 4,000 pink-footed geese leaving the estuary in the early mornings. Although the sun had risen you would hardly have guessed: at around 8am the estuary was still very murky and misty with quite poor visibility. 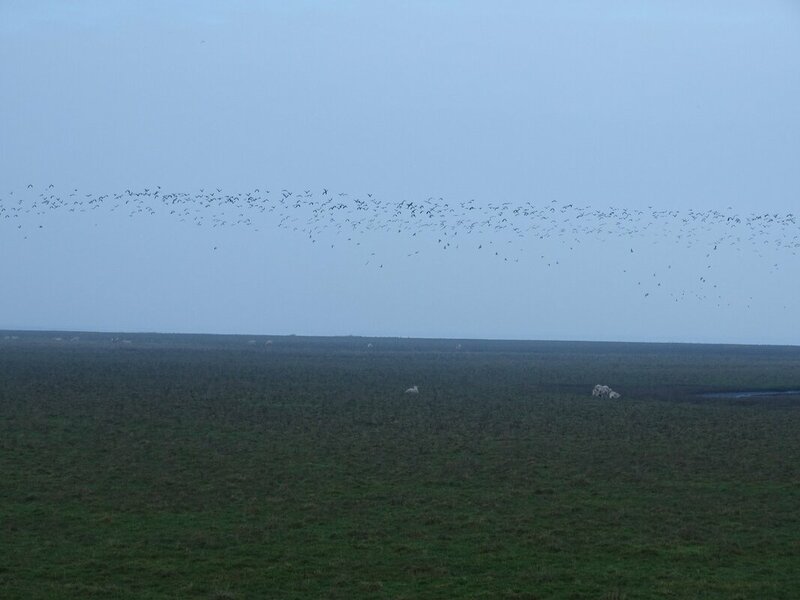 I could hear a few pink-feet calling and then about 8.20am we began to see large flocks coming off the water and landing on the marshes. 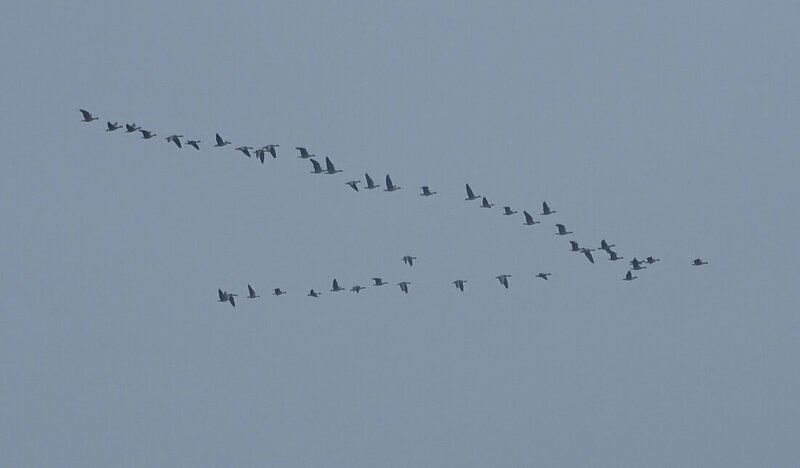 Then just before 9am they took off and I counted 1,800, Ian had a further 1.500 at the same time at Stanlow Point, so together with a few other birds we had our first internationally important count of over 3,500 pink-footed geese actually on a WeBS count! Previously we had had 3,500 on a low tide count last winter. However, the record of 4,000 will go down as a roost count. It was quite surreal to be out on the marshes and the dominant goose sound to be that of pinkies rather than Canada geese. 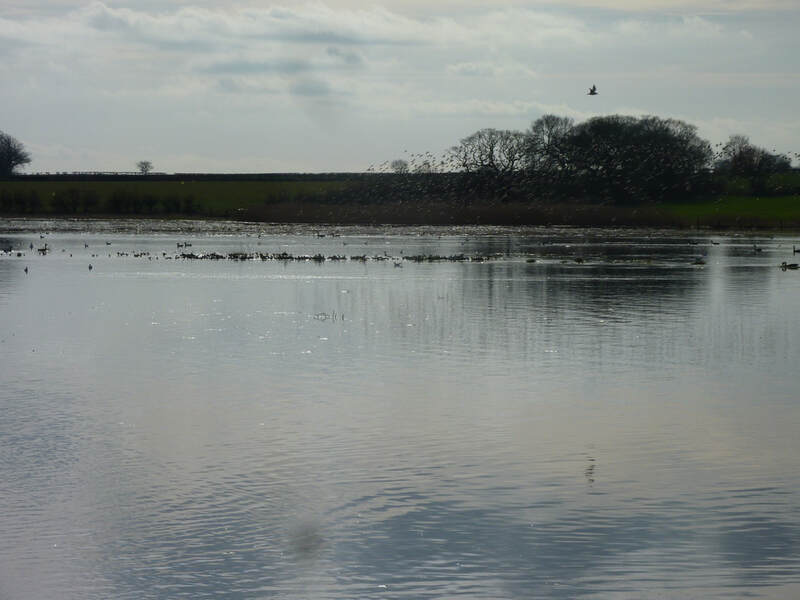 Other highlights included 26 whooper swans, 700 shelducks and 1,300 wigeon our highest count of the winter. 48 gadwall is the fourth month in a row with over 30, whereas until 10 years ago we had only had one count in double figures. 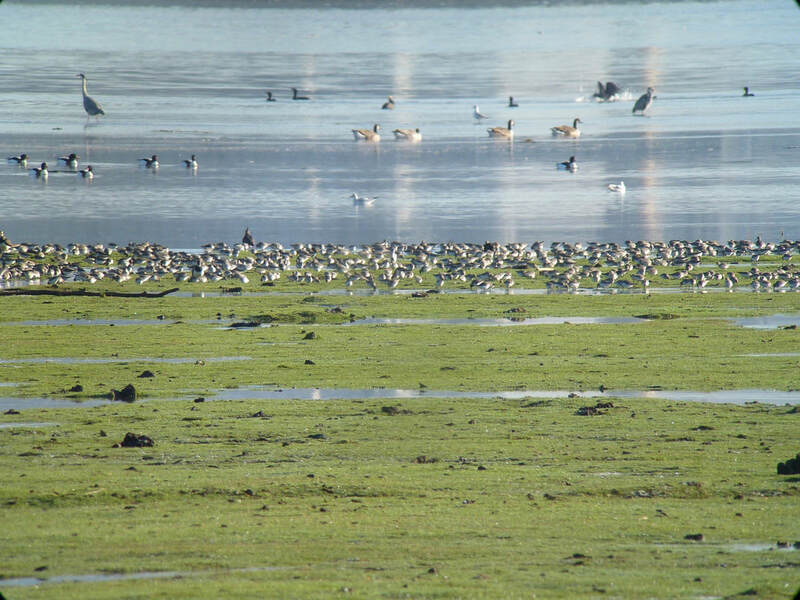 2,800 teals was nationally important but 600 down on last month. Over 1,300 were on the Frodsham No 6 tank. 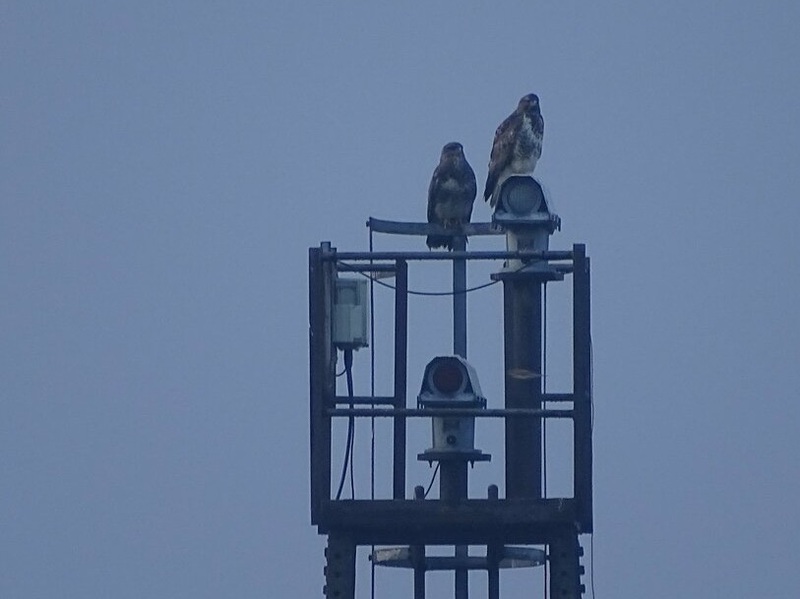 This area has been really good for them this winter with a counts of 3,000 recorded in January. 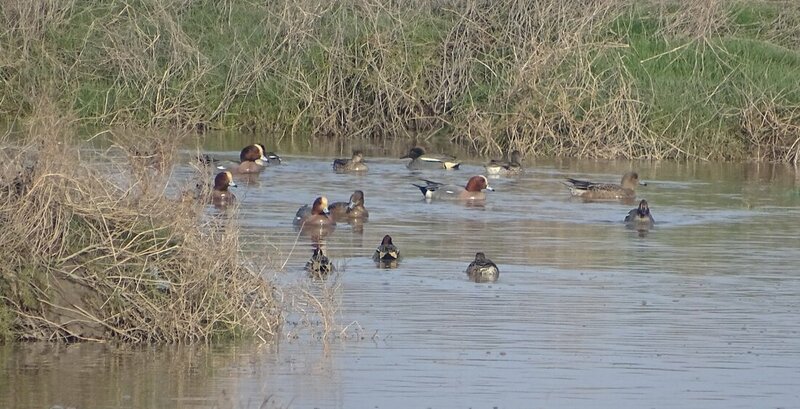 92 pintails was just above average. However, on New Year’s day I had 140 pintails on No 6 tank and few days later Paul saw 280 flying out on the Mersey marshes from Frodsham: that is the highest count since 2001. Ten goldeneyes was a marked improvement on one on the December count. Two great egrets was quite low, but I have seen six in recent days, so they are still about in record numbers. Golden plover is a species making a welcome return to form with over 3,000 being nationally important and up from 2,600 last month. We have only one count higher than that this century. 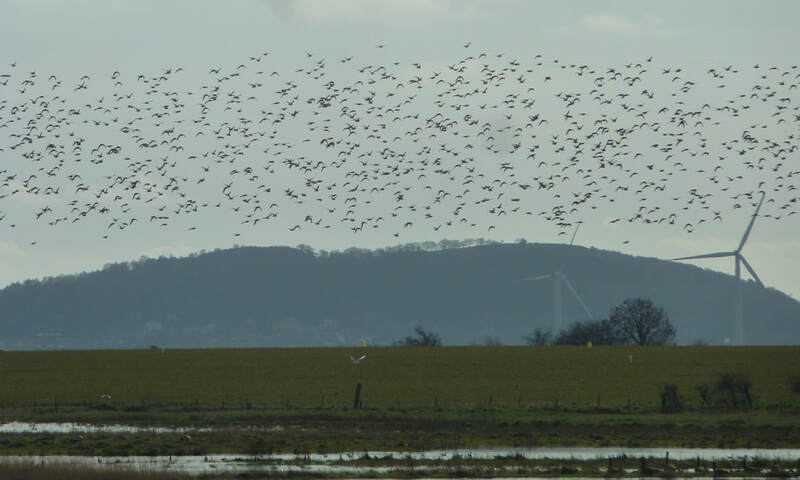 12,500 lapwing is double the nationally important threshold and the highest count this century. 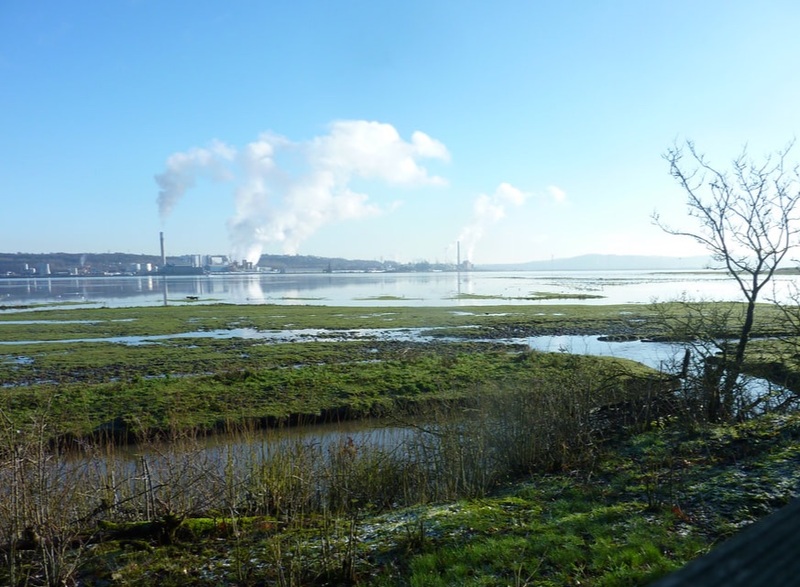 However, that includes 2,500 at Runcorn Sands and a few other places that were not counted last century. Grey plover on the other hand is disappointing, after a run of 7 years with nationally important numbers (threshold 430) this winter we have managed just 117. 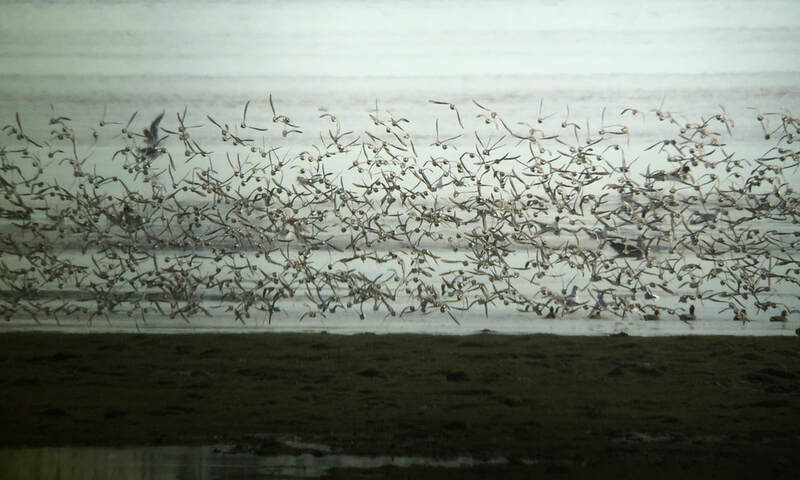 Dunlin numbers were just over 30,000, 9,000 down on last month. 1,800 redshank was nationally important, but 1,000 down on last month’s internationally important count. 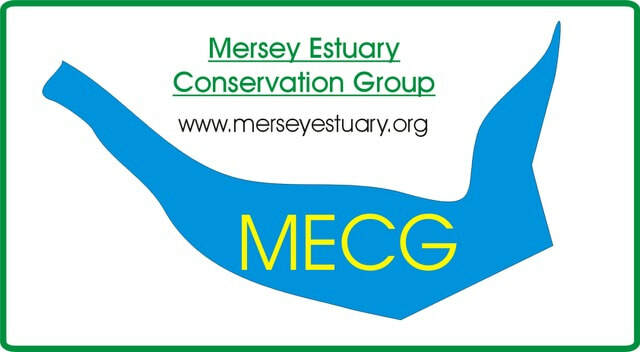 We set a new record for herring gull with over 2,000 seen to leave the estuary at first light. 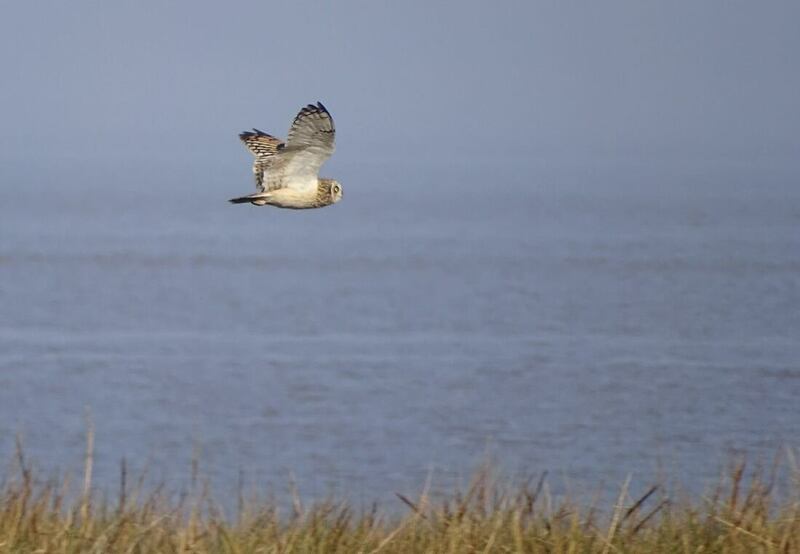 Again we had 7 birds of prey species including both hen and marsh harrier. Stock dove numbers on Ince Marshes are impressive with 340 counted, our highest since we started recording numbers of these birds, which is just a few years ago. Next count is 24th February. That isn’t the official WeBS date but we have agreed it with the Dee, Alt and Ribble as the tide on the official date was not suitable.